We are part of a rather large family. So when we thought about how to commemorate our 25th anniversary, we knew our family of franchisee partners needed to be front and centre. We wanted to recognize the importance of our franchisees to our success. We knew parts of their exciting stories from working together as partners and friends over many years and we were eager to learn more about the strength of entrepreneurship in our family. As the umbrella for brands including the Comfort™, Comfort Suites®, Quality®, Sleep Inn®, Clarion®, Econo Lodge®, Rodeway Inn®, MainStay Suites®, Suburban Extended Stay® brands and Ascend Hotel Collection®, Choice Hotels® began serving travelers in North America more than 75 years ago. Since then, Choice Hotels®’ international presence has evolved into one of the world’s largest and most successful lodging franchisors, Choice Hotels International®, with over 6,500 hotels in more than 40 countries and territories. In 1993, Choice Hotels® Canada was founded with the vision to help connect people through the power of hospitality. Over the course of 25 years, Choice Hotels® Canada evolved from 173 properties at the time of its inception to over 340 hotels open and under development across Canada today. 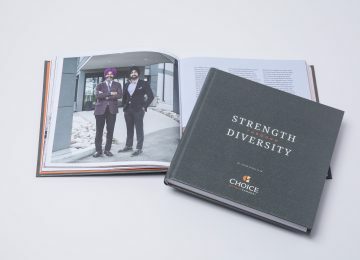 When the Choice Hotels® Canada team approached us with the idea of marking the 25th anniversary of the organization with a commemorative book, Choice Hotels® Canada President Brian Leon had a unique vision. As head of an organization that attributes a large portion of its overall success to its franchisee family, he was intent on using the special corporate milestone as an opportunity to recognize the contributions franchisees had made to the Choice Hotels® system over the years. 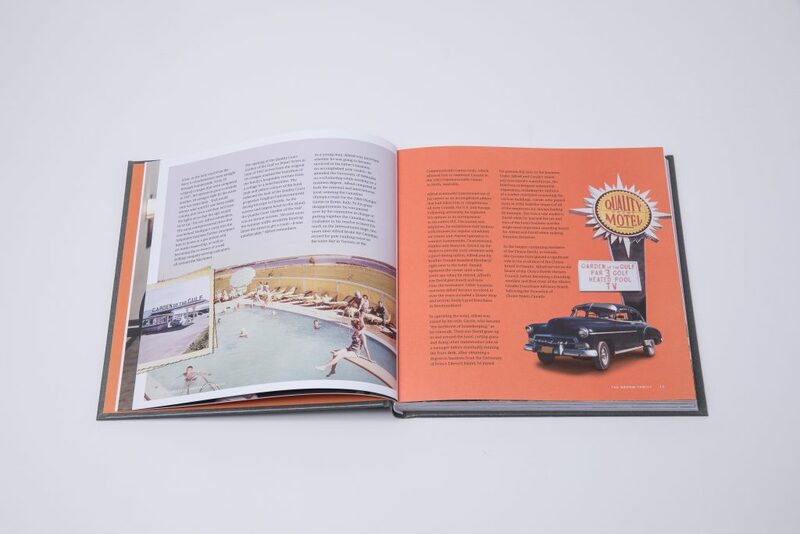 Instead of focusing on the evolution of the corporation, the Choice Hotels® team had the vision for creating a business history book that zooms in on the life stories and entrepreneurial trajectories of independent hotel franchise owners that together form the Choice Hotels® community. We could not have been any more excited when the Choice Hotels® Canada team approached us with the idea of dong a franchisee story book. We instantly realized that their vision was the perfect fit for our own philosophy as corporate storytellers—namely to break corporate stories down into their human elements to create narratives that readers can connect with at an emotional level. 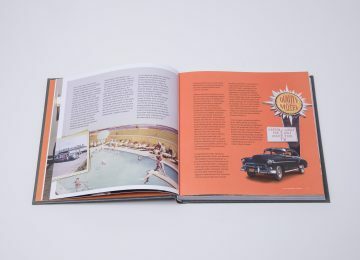 After devising the overall concept for a book that tells the entrepreneurial stories of 30 members of the Choice Hotels® family, the design team at Lesley Warren Design Group went to work, creating the overall layout and art direction for the book. Then, HBS president Dr. Ulrich Frisse and the content creation team, together with photographers and videographers assigned to this project, embarked on a six-months-long whirlwind tour across Canada, conducting interviews and photo shoots for the book, as well as producing additional video footage for the second deliverable, a documentary video to be launched together with the book at the Choice Hotels® Canada’s 2018 Fall Conference and Anniversary Gala. While interviewing hotel entrepreneurs at 30 locations all over the country, from Newfoundland in the East to Vancouver Island in the West, the HBS team was stunned by the depth of value-based family entrepreneurship they were witnessing. As they continued to meet with some of the most fascinating entrepreneurs, the overarching theme of the book evolved—Strength through Diversity, which eventually became the title. The book’s title recognizes the fact that Choice Hotels® franchisees operate all over Canada and come from all walks of life and virtually every corner of the globe. 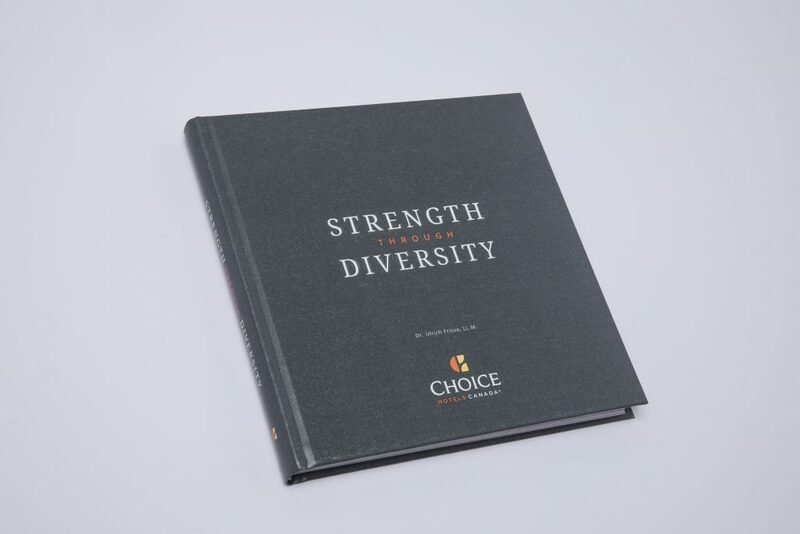 It is that combined strength regardless of background that defines Choice Hotels® as a leading hospitality organization in Canada and that makes its family of franchisees so representative of what Canada as a nation built on diversity and inclusivity is all about. 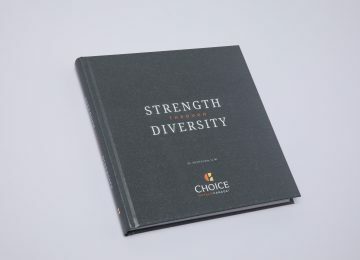 To convey the notion of Strength through Diversity, the book captures their stories in a multitude of contexts, including the socio-economic and political circumstances that prompted many Choice Hotels® family members to immigrate to North America, the evolution of hotel brands and the franchising concept in the North American hospitality industry, the core values behind multi-generational family entrepreneurship in the hotel business, as well as the unique conditions influencing the hospitality experience in the various provinces, territories, regions and communities in which Choice Hotels® franchisees welcome guests to their properties. The outcome is a book with 30 individual story profiles that combines historical images with state-of-the-art portrait photography, as well as a video documentary containing animation and footage from the interviews that showcases the story behind the stories and of how the book came together. Launched in the fall of 2018, Strength Through Diversity leads the way in corporate storytelling for franchise organizations in North America.